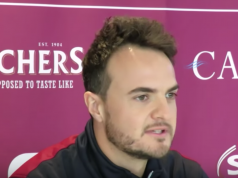 Matthew Fisher may be the youngest member of the 13-man squad named by Yorkshire for the final game of their T20 Blast season, but in terms of T20 experience he is one of the senior players. Despite the pre-season emphasis on white-ball cricket, the signing of T20 superstars Aaron Finch and Glenn Maxwell, and a resounding victory over Derbyshire in their first game, the Yorkshire Vikings’ campaign has been a great disappointment for the Club. One of the brightest stars in their short-form firmament, indeed upon the night sky of their entire season, was Jonny Bairstow. He is not available for this fixture, as his superb performances in the County Championship have been recognised by the international selectors. If Yorkshire do go on to convert their strong position in the Championship table into a second consecutive title, Bairstow has a strong claim to their player of the season award even if he does not play another game. The Birmingham Bears’ four-day counterparts Warwickshire lie second to Yorkshire in the Championship, but they are mauling all comers in the Twenty20 format. Economical bowling from Rikki Clarke, Jeetan Patel and leg-spinner Josh Poysden has been the key for them, as well as the performances of the walking masterclass in six-hitting that is Brendon McCullum. The Birmingham franchise are reigning Blast champions, are guaranteed a home quarter-final already, and it would take a brave gambler to bet against them retaining their title on their home ground on finals day. One final visit from Varun Chopra and his men could prove more than the Vikings can… bear. Glenn Maxwell’s stint as a Yorkshire player has not been an entirely happy one. His unbeaten 92* against the Notts Outlaws was his only real score. He remains one of the most exciting white-ball batsmen in the world, however, and last season his countryman and friend Aaron Finch signed off in style with an exciting, if futile, 89 against Nottinghamshire. Maxwell may not be able to turn around the Vikings’ campaign this time, but he could always leave the Yorkshire crowd wanting more. Jeetan Patel is a rare spinner who can tie batsmen in knots in any format of the game. His years of experience of international and domestic cricket (he has never been picked up by an IPL franchise) have given him a bag of tricks that his opponents have never managed to exhaust. The impact of West Indian spinner Sunil Narine upon his opponents has been described as like having to chase a 20-over total in just 16 overs – the same can be said of Patel. Joe Root, Jonny Bairstow, Adil Rashid are all away with England, of course. Gary Ballance, who made way for his county colleague, has not been named in the 13-man side. Andrew Gale, Tim Bresnan, Ryan Sidebottom and Jack Brooks are also all rested ahead of the gruelling latter stages of the season. They have opted for youth, and several teenaged and young cricketers will be looking to stake their place for a limited-overs spot next season. Yorkshire’s priorities are clear, and they will use this final match as a showcase for their formidable academy strength. 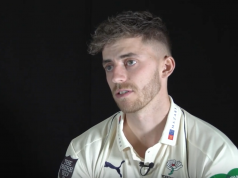 Yorkshire Vikings squad: Alex Lees (captain), Karl Carver, Ben Coad, Tom Craddock, Matthew Fisher, Ryan Gibson, Andrew Hodd (wicketkeeper), Jack Leaning, Glenn Maxwell, Liam Plunkett, Will Rhodes, James Wainman, Matthew Waite. There is a possibility of light rain during the match, but with temperatures in the mid teens and the weather otherwise dry, there should be enough time for a full match.